Backpacking into wilderness areas is certainly one of the great joys in my life. The picture above shows the first time I had ever experienced a big dump of snow overnight. 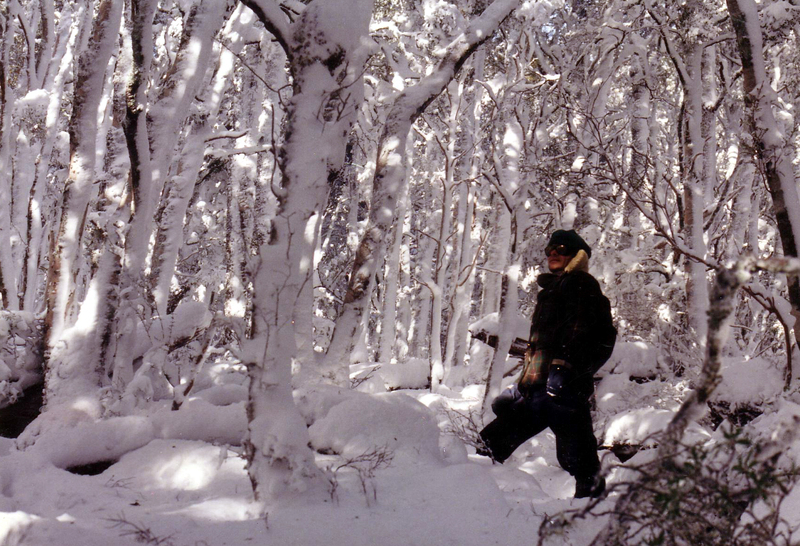 In a Myrtle forest just below the snow-line on the Western Tiers in Tasmania. Having come from the desert regions of Australia the self portrait cannot capture the exquisite feelings that flooded through by my being. When everything is shrouded in snow, it is very very quiet… the snow muffles everything. You simply stand in this freezingly cold stillness… then a twig or branch breaks from the weight of snow and it crashes around, twinkling, breaking the stillness, only to return to the peace of whiteness. This must be a part of heaven. Backpacking is quite a different form of camping as we ordinarily consider it, particulary when you carry everything on your back! Carrying your own equipment you must seek to minimize the weight and bulk of any gear carried. A lighter pack causes less fatigue, injury and soreness, and allows you to travel longer distances. Every piece of equipment is evaluated for a balance of utility versus weight. Significant reductions in weight can usually be achieved with little sacrifice in equipment utility, though very lightweight equipment is often more costly. My introduction into bushwalking and backpacking came after moving to Tasmania, with a desire to explore the National Parks and mountains of Tasmania. Over a decade most of the National Parks were explored, and I undertook Bushwalking Leadership Training, and spent a number of months each year in the mountains. 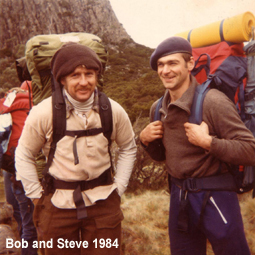 Over time I began a guiding company with a close friend, Bob Parsons, and even worked on a feature film as the Wilderness Advisor and as a track-cutter in the South West of Tasmania. 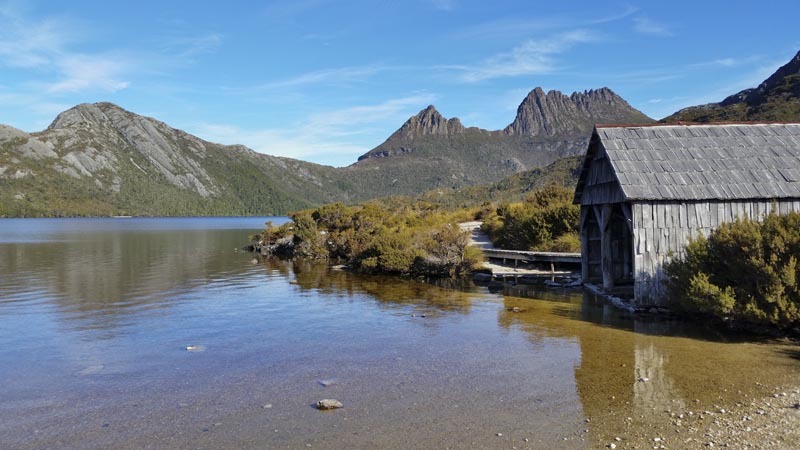 Thus began a long love affair with the mountains, particularly enjoying winter walking and camping on the Central Plateau, Walls of Jerusalem, and Cradle Mountain National Parks. I am providing some general information here gleaned from many years of backpacking, but if you have done little in the way of shouldering a pack, hiking, or bushwalking don’t do it alone. If you are the social type, you may wish to join a walking club where you benefit from the more experienced members. Ensure you have others walking with you for safety reasons, especially if you are intending to undertake extended trips.